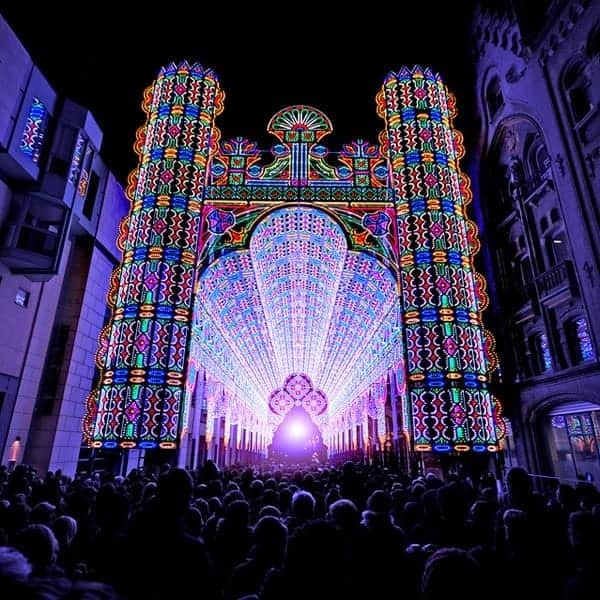 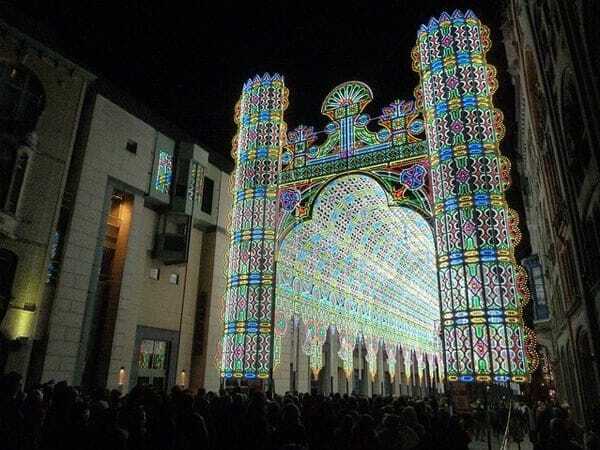 This massive construct, created by Italian light design company Luminarie de Cagna, was truly a spectacle to behold at the second edition of the Light Festival in Ghent, Belgium. 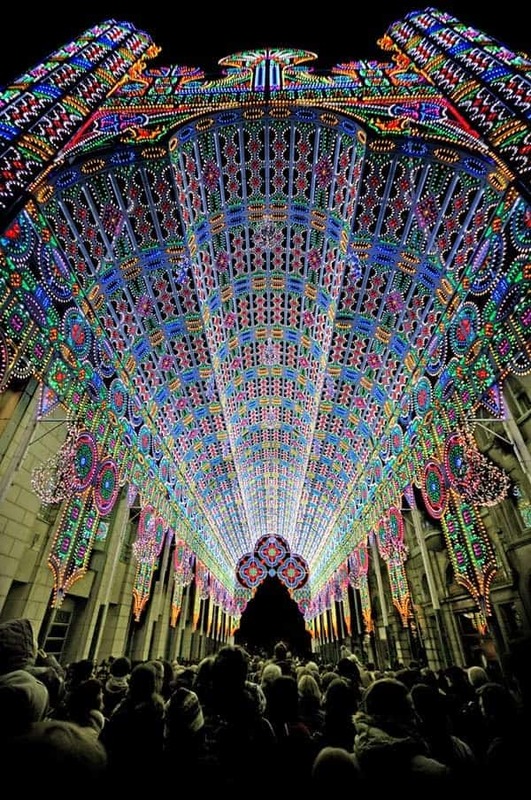 The enamoring cathedral of light was designed using Renaissance and Romanesque architectural influences and stood at a remarkable 28-meters high. 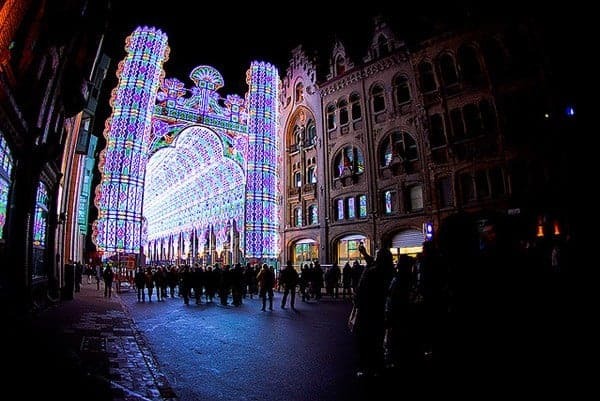 Despite having been created using an impressive 55,000 LED lights, the massive creation only consumed 20 Kwh of energy per night of the festival – and really stole the show.